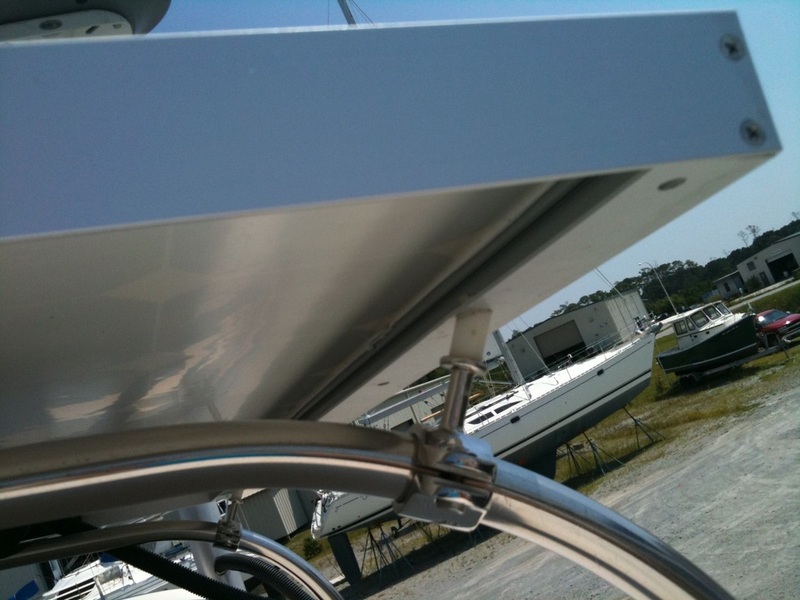 Solar Panel Mounting Systems - First Mate Marine Inc.
Our top-of-pole solar panel mounting system offers the best alternative for achieving maximum performance from your solar panel. The closer the panel is to being perpendicular to the rays of the sun the higher the performance. This is accomplished by both tilting and rotating the panel for solar tracking. A solar panel should be easy to adjust without the use of tools.
. 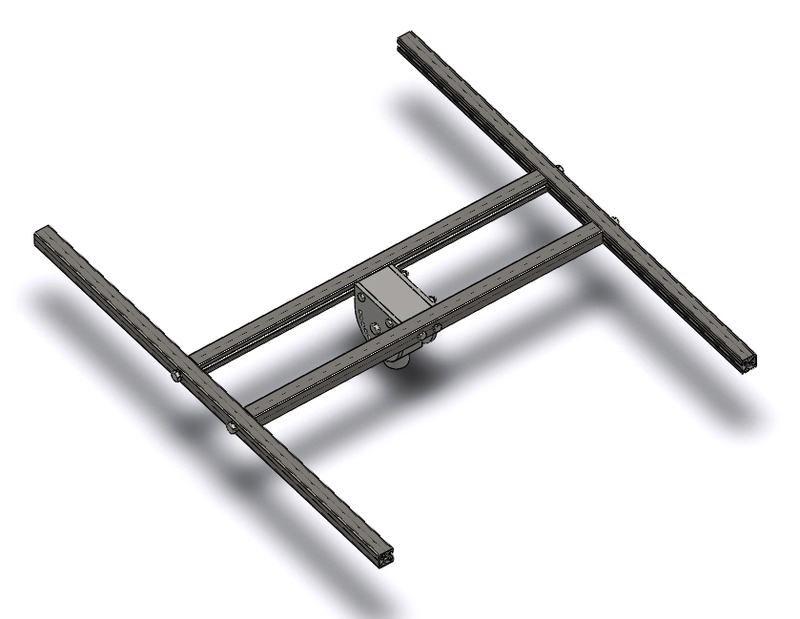 The panel mount design provides 13 tilt positions. Simply pull a pin, tilt the panel and replace the pin.
. 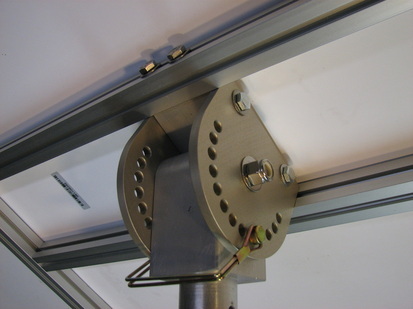 The pole mounting system enables the panel to be rotated 360 degrees and locked into position. Installation is easy and requires only basic tools.
. 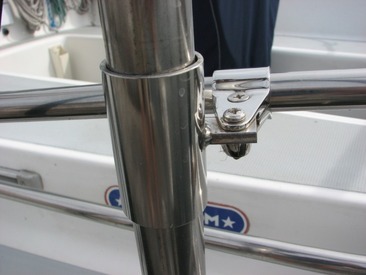 Simply attach the pole sleeves to the stern cockpit rail(s) and slide in the pole.
. The pole rests on our unique ball and socket base. 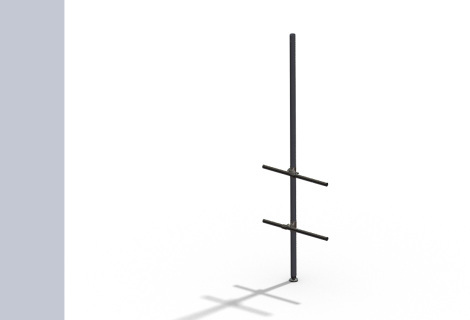 All pole components are stainless steel.
. 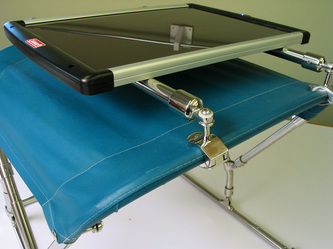 The panel tilt mechanism is easily assembled and attached to the solar panel using standard fasteners. All panel mounting components are anodized aluminum. We offer ready-to-assemble kits for commercially available solar panels and for our CMP high performance marine solar panels. We also offer a complete kit that includes everything you need to install solar on your boat; solar panel, mounting kit, charge controller and wire. Our top-of-pole solar tracking systems are easily customized to accommodate most solar panels and most boat stern rail configurations. Contact us for a quote to customize a system to your specific requirements or purchase a kit and do it yourself. Our experience indicates that adjusting a 100-105 watt panel 3-4 times a day will achieve power generation of up to 40 amp-hours on a clear day. A 130 watt panel can produce 65+ amp-hours on a clear day. A 140-160 watt panel can produce 75+ amp-hours on a clear day. Select the panel mounting kit for your solar panel. Select the pole system that best fits your boat. Select a solar panel controller. Assemble and install your system. Our experienced staff will help guide you through this process. Call or email us. 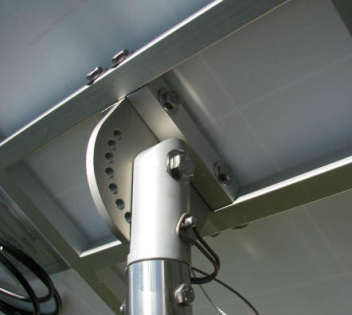 The top-of-pole solar panel mount is designed to set atop our 1.5 inch OD stainless steel rotating pole. The standard pole height is 66 inches. A custom pole height can be specified at the time of order. 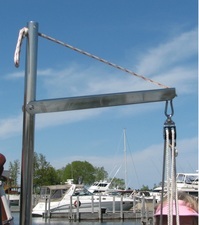 The pole is attached to the stern rail(s) using our brackets. No drilling or machining is required. 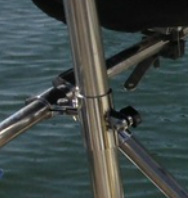 Brackets clamp onto the stern rail and attach to adjustable sleeves that hold the pole and allow it to rotate. 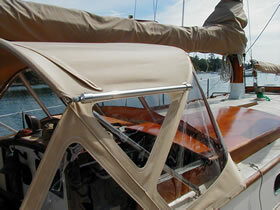 The sleeves can be set to any of three distances from the stern rail for proper alignment. 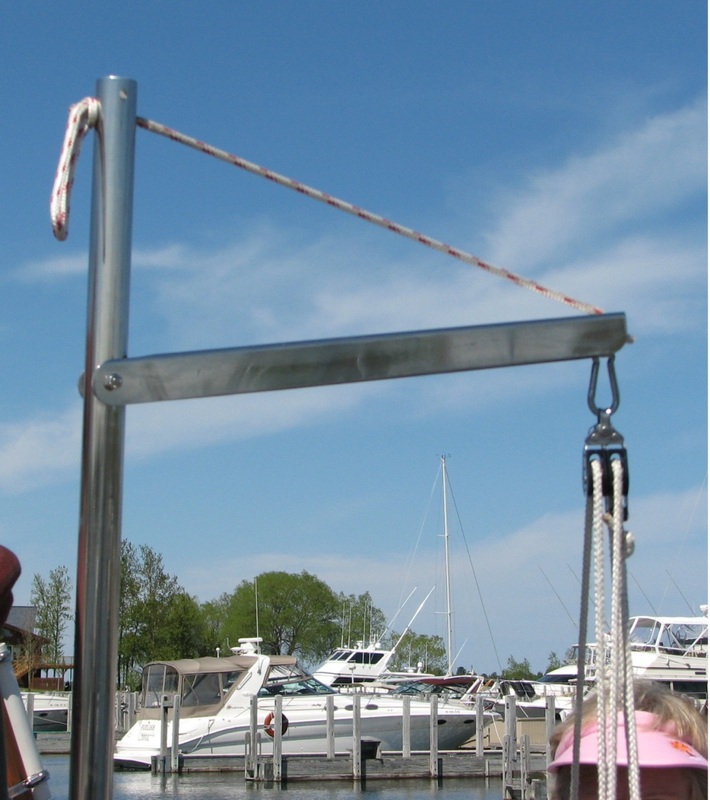 We offer several pole base designs to accommodate various boat configurations. 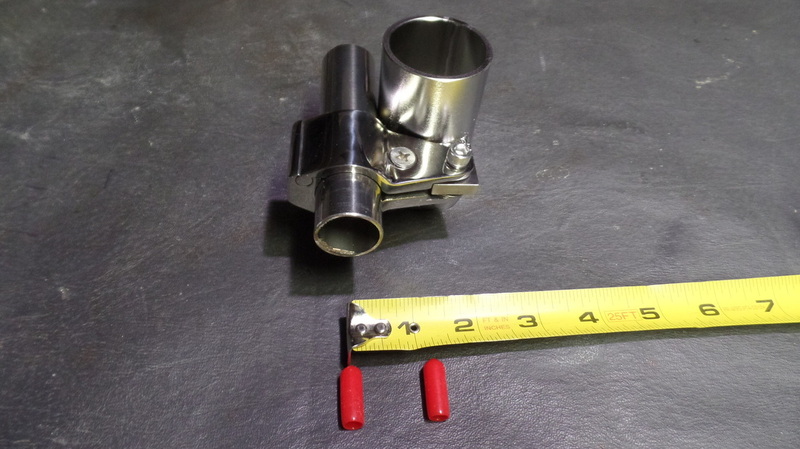 Our ball and socket design is standard and our most popular. 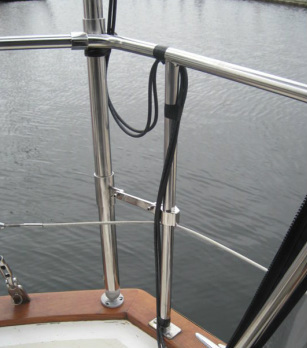 2 Stern rail mounting brackets and pole sleeves (stainless steel, for 7/8", 1" or 1 1/4" rails). Specify at time of order. 1 Pole base deck mount ball and socket pole base. 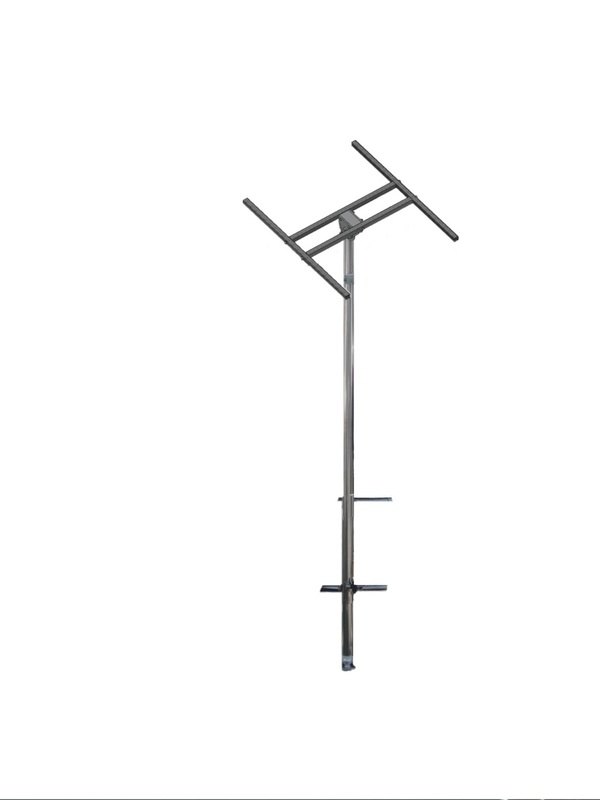 Purchase our complete top-of-pole mounting system and save. This panel mounting kit is designed for a panel under 110 watts including the CMP 100 and 105 watt panels. This panel mounting kit is designed for a panel over 100 watts including the CMP 150 and 160 watt panels. 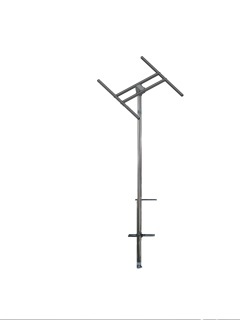 The Solar Panel Mounting Kit and the Pole Mounting Kit can be purchased separately. 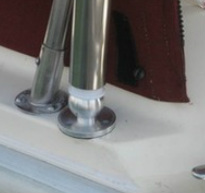 For those who already have a pole mounted on their boat, the top-of-pole mounting kit can be purchased separately. Also, the pole and pole mounting hardware can be purchased separately. Note: The tilt mechanism and braces for larger panels (over 100 watts) are designed for the heavier loads. 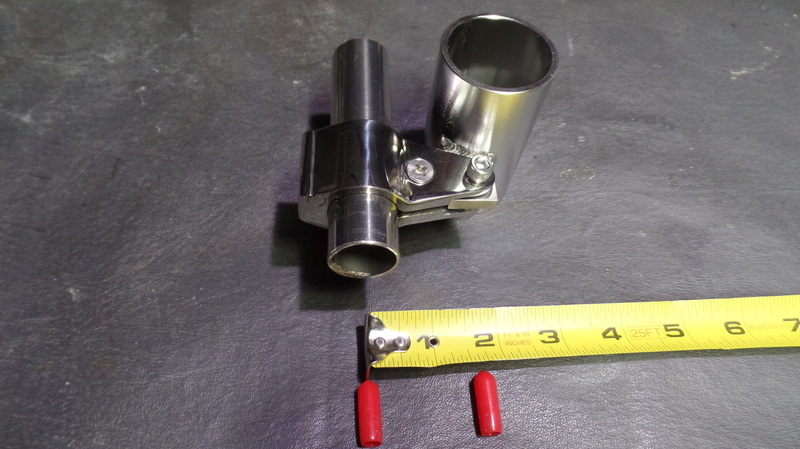 2 Stern rail mounting brackets and pole sleeves (stainless steel, for 7/8", 1" or 1 .25" rails). Specify at time of order. 1 Pole base deck mount (standard ball and socket pole base, slotted optional). Specify at time of order. Our optional lifting crane can be attached to the pole. 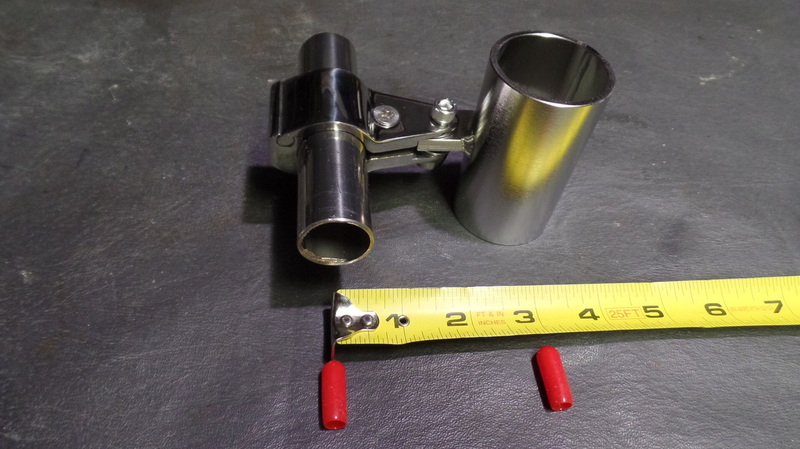 It is ideal for moving an outboard motor from your dinghy to the boat stern rail. 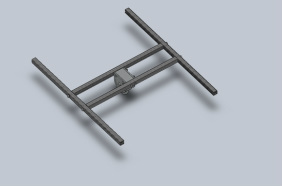 Since the pole rotates and is well secured to the stern rail, this is a logical option to add to your solar panel mounting system. The crane arm will support up to 250 pounds of weight (depending on the strength of your stern rails) and can be folded against the pole when not in use (see picture at top of page). It can be used to bring on board an overboard crewman. Include lifting crane with one of the kits above. Please specify the following when ordering. 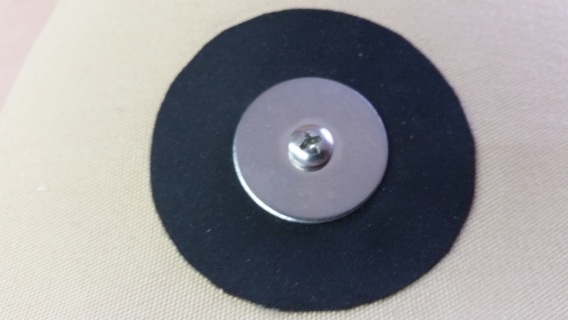 ​Customers have found that using our canvas bolt on kit works well for mounting our semi-flexible marine solar panels directly to their bimini or dodger canvas. 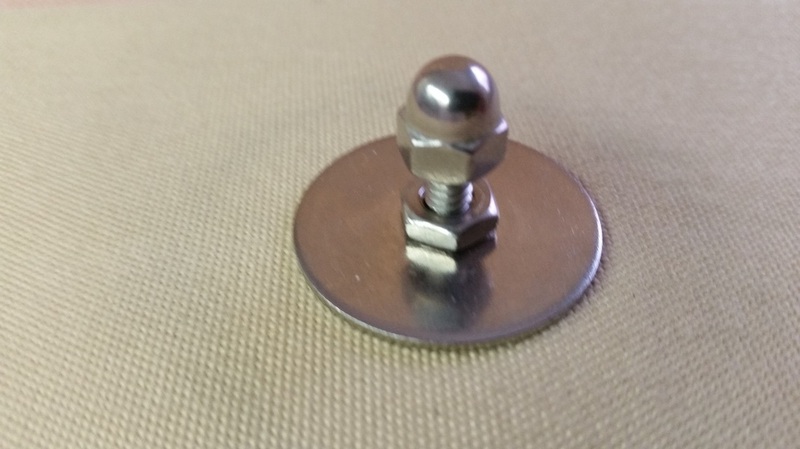 The kit includes a vinyl disk to be adhered to the underside of the canvas, fender washers to secure the bolt to the canvas, a bolt and nut to tighten the washers to the canvas and an acorn nut secure the solar panel to the bolt. 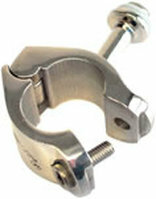 The kit includes 4 or 6 sets of attachment hardware. 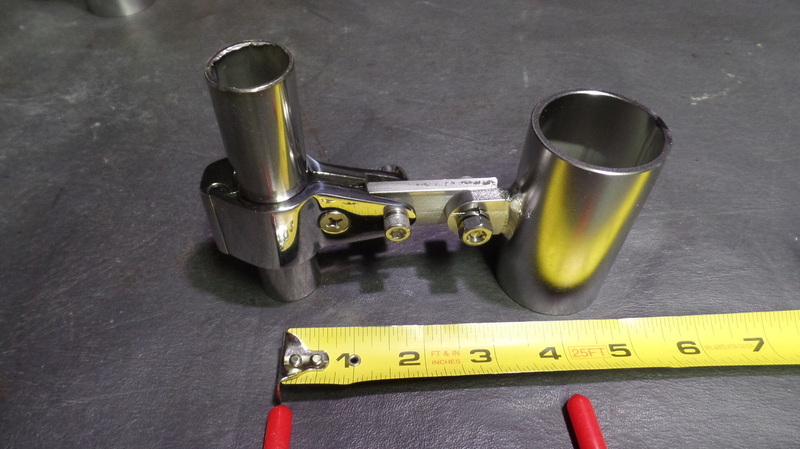 All metal parts are stainless steel. Our split side mount hardware can make mounting your solar panel above your bimini easy. Split style mounts can be mounted any where on a frame — in the middle of a corner bend or even in the roof section. This creates a greater range of applications, including the use of split side mounts for installing solar panels on dodger and bimini tops. In addition to mounting solar panels, the Split Side Mounts can be used for many applications including fixed grab rails, folding grab rails on dodgers and tensioning bars on biminis and dodgers.